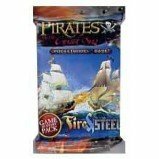 Constructible Strategy Game. 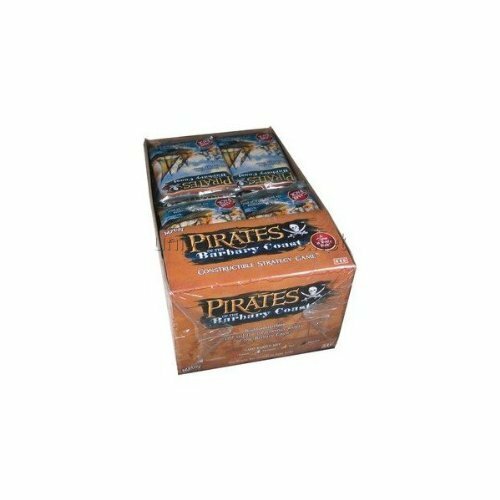 15 Sealed Booster Packs! 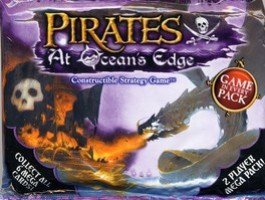 Bone-crushing crabs and prehistoric sharks plague the unknown waters of Pirates at Ocean's Edge! Tempt fathomless whirlpools promising uncharted territory rich with gold - or destruction to any foolish enough to enter! 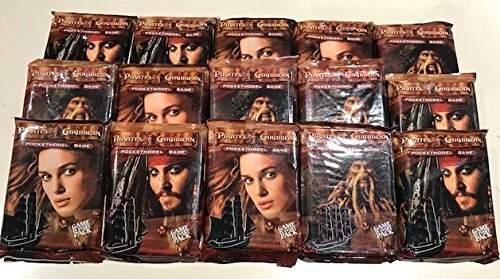 Pirates at Ocean's Edge is introduced in Value Packs containing six ships, three crew or treasure cards, complete game rules, one bonus pre-assembled Special Edition ship, and a die; and boosters packed with two ships, or one ship and one sea monster, a whirlpool/island card, one crew or treasure card, game rules, and a die. 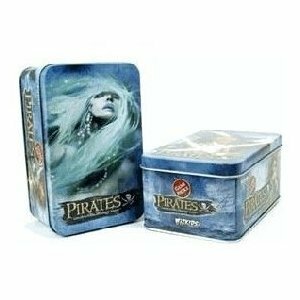 Also available in a collectible Tins containing Special Pirates of the South China Seas Game Pieces, plus four Pirates at Ocean's Edge Game Packs, as well as Mega Packs featuring giant-size cards that offer bigger beasts and more exciting ships! 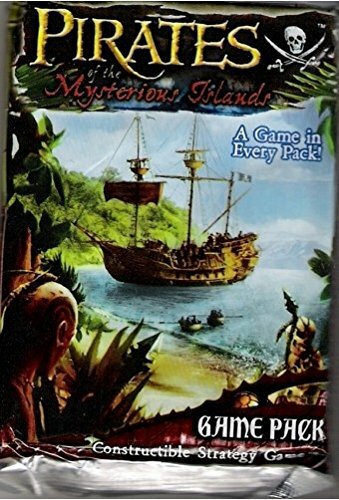 36 packs/box Each pack contains 2 sailing ships, 1 treasure or crew card, 1 terrain or island card, a rules sheet, and a die. 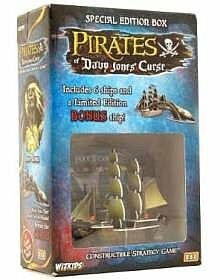 Each pack contains 2 sailing ships, 1 treasure or crew card, 1 cardboard island card, a rules sheet, a rules booklet, and 1 die. 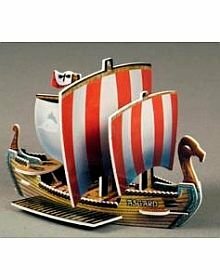 Constructible Strategy Game. 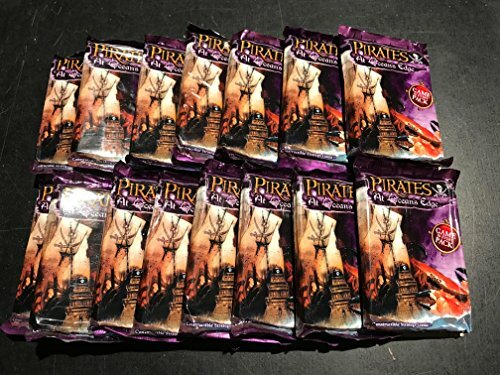 15 Sealed Random Booster Packs! 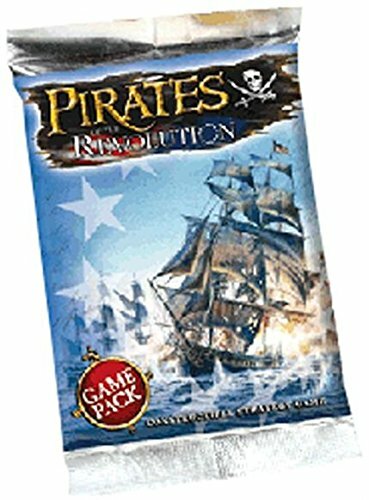 PIRATES at Ocean's Edge- Constructible Strategy Game PROMO card # 07, Sealed.